(Free Press Release) TLC Companions and Supply in NY specializes in providing excellent home health care services for seniors in a compassionate way. Forest Hills, New York (newpressrelease) April 27, 2018 - TLC COMPANIONS AND SUPPLY provide quality home healthcare in Nassau County and companionship within the comforts of home, allowing seniors to continue leading independent lives and give their loved ones peace of mind that they will be tended to during times where they can't be around for them. Their companions' tasks and services include social interaction and friendship, meal preparation, medication reminders, maintaining a safe environment at home and more. The spokesperson says, "TLC COMPANIONS AND SUPPLY was formed by health care professionals with over thirty years of experience. We provide high-quality companion services to our growing senior and disabled population and allow them to enjoy the freedom of remaining in their own home. As an added service to our families, we would be happy to assist with referrals regarding elder law issues, transportation, long-term care insurance, senior advisement and financing options. Our team of caring professionals is united in the belief that, regardless of age and one's physical or mental condition, every individual deserves to live in the environment of his or her choice; everyone can use a helping hand at times, and everyone needs a friend." "At TLC COMPANIONS AND SUPPLY, we understand that there is no environment more familiar than home. The idea of assisted living may be off-putting for seniors who wish to retain their independence for as long as possible. Loved ones may have concerns about their health and safety while they are living alone. 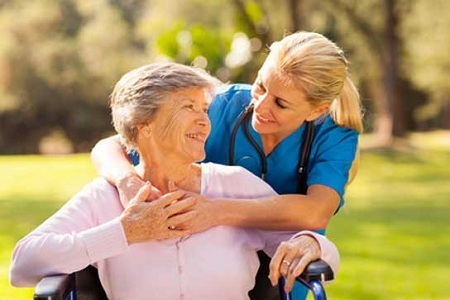 With our home health care services in NY, we provide quality care and companionship within the comforts of home, allowing seniors to continue leading independent lives and give their loved ones peace of mind that they will be tended to during times where they can't be around for them," added the spokesperson.